NEWS | S'NEXT Co., Ltd. Announcing new lineup of dynamic earphones – E3000 and E2000! 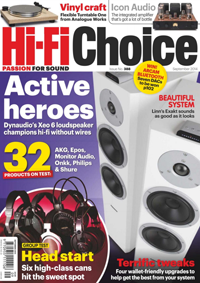 SONOROUS III received “Best Closed Back Headphone 2016″ @ Hi-Fi+ (UK)! SONOROUS III received “Best Closed Back Headphone 2016″ @ famous audio magazine Hi-Fi+ (UK)! F7200 received Gold Diapason @Diapason (France)! F7200 received Gold Diapason @famous music magazine Diapason (France)! Announcing new lineup of headphone – SONOROUS III and II! SONOROUS X received Best Choice @ HD FEVER (France)! SONOROUS X received GOLDEN ANALOG 2015 @HiFi PHILOSOPHY (Poland)! Heaven VII received Gold Diapason @Diapason (France)! Heaven VII received Gold Diapason @famous music magazine Diapason (France)! SONOROUS X was reported as the must have headphone @Festival Son&Image 2015 (France)! Announcing new lineup of headphone – SONOROUS X and VIII! Announcing new lineup of Balanced Armature type earphones – Heaven VIII and VII! Pandora Hope IV received “Recommended Award” @Hi-Fi Choice (UK)! Pandora Hope VI received “Recommended Award” @AVForm (UK)! Announcing the launch of a new series LAB! Announcing a new lineup of Balanced Armature type earphone – Heaven II! Announcing a new lineup of Insulator DARUMA SAN! Announcing a new lineup of Balanced Armature type earphone – Heaven V and Heaven V Aging! Announcing a new lineup of Balanced Armature type earphone – heaven VI! Announcing a new lineup of Dynamic Type earphones – Adagio Series!